Greetings! This is St. Michael the Archangel, prince of the Heavenly Host and peacefully wishing you good tidings of love and peace. I am here to deliver a message of love for you. And of strength- to enable you to prepare for life changes. This is not to mean that your life will certainly change in a negative way, on the contrary! This is to mean that your life will increase positivity and love and peace. Let us help you now lift into higher love and light by gently lifting your energy body to the love that is always available to you. This will increase love within you and around you, bringing to you love and always , peaceful blessings. All you need to do is sit comfortably in a relaxed position, just close your eyes, and ask for me, St. Michael, to be with you in your energy field. Just think: “Yes, please lift me into greater peace and joy.” You can feel a slight sensation of peace from the angels as St. Michael comes in , through your energy body and help to lift you in greater harmony and greater peace. Feel this shift now as your energy body is gently increasing in body and expanding. St. Michael is shielding you from negativity, eliminating any from your own field, and gently releasing it with your permission. St. Michael will guide you to release anything you are willing to release, that no longer serves you. Cleansing your aura of any debris , any feelings of heaviness or worry. St. Michael will replace what is taken, with golden light, the Light of the angels and of Jesus. Helping you to lift into greater harmony and peace this day. This can be from something recent, or something in the past. releasing it now, and filling it with love, St. Michael will gently replace this with true love. The healing Love that is only from the angels. He will help you in your endeavors. In your career, in finding your life’s purpose. In anything you are willing to ask. St. Michael doesn’t mind, and can be with anyone simultaneously. 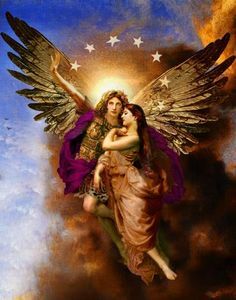 If you are willing, St. Michael will also assist any family members , for all that give permission on a soul level, which will integrate to the level of the personality. Life choices are easy. Life is blessed and you are blessed. We lift you and we love you. When you are ready, ask St. Michael to help you ground, back in your body and when you are ready, thank this loving Archangel for his assistance and loving protection; which can be with you 24/7…. and so it is beloved , we bless you, amen, amen , amen. This will include an Angel Exercise. How do you know if you are hearing the angels correctly? 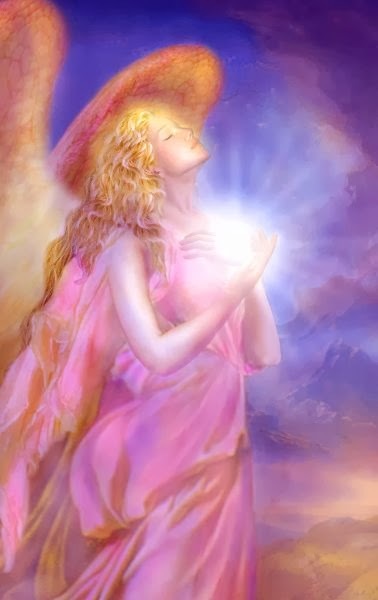 The angel’s messages will feel loving, sound loving and are always uplifting. Joy is the purpose of every angel- of doing God’s Will- this brings happiness to all. God is holy , just and loving. His will is created for all to love, love more freely, to be peace filled, and to have love constantly flowing in our lives. He will send His Love without hesitation if you ask. Insight is understanding . It is His gift for all to understand. Nothing is hidden. Anyone can ask for Heavenly guidance and be guided with angels. This is not for a select few. For many have asked and many are receiving insight happily if followed. The guidance you receive from Heaven is filled with the highest best possible outcome for all involved. Even those who will be affected you are praying about. Insight is free to all. You need not feel as if you are not worthy of angel insight, or that you would not be helped if asked. this is just not so! Allow yourself to sit in a comfortable and relaxed position. Close your eyes (after reading this) and take a nice relaxing breath. Here, ask the angels to surround you, your home and your family all. Ask the angels to help you hear their messages of love, that will bring blessings to all involved in (_______) <—name you situation here.Ask for the highest possible outcome and ask for the angels to help you achieve this. Then notice any thoughts, visions, ideas, feelings, physical signs that come to you. The angels are unlimited in how they can help everyone, so you need only ask and the angels will help. They only ask that you ask them as they do not interfere with your own Gift of Free Will , which is God-given. Then, thank your angels for any guidance you receive. If you practice, , you will begin to notice how different it feels when you ask the angels to surround you. When you ask for guidance. Allow yourself time with this and write down any messages you receive- whether it be lyrics to a song in your head, or a feeling , a color, a sound, an angel voice, angel vision, an idea that feels very loving. Thoughts are important too as the angels of intellect can work with those who like to receive thoughts or ideas . These ideas and thoughts can be impressed upon you and will feel loving. You may have an inner knowing- which is something impressed upon your heart instead of your thoughts. Inner knowing is common – even for those who do not believe they are hearing their angels messages. Inner knowing is how the Holy Spirit impresses messages. The angels can also use this if this is what you are accustomed to noticing- although the angels are unlimited and can help you hear their messages. Practice this daily. Ask the angels to surround you 24/7 if you like. Each angel has a specific purpose and will help you in miraculous ways. Heaven is always with you, is never separate and will always help you , this day and always. Thank your angels when you practice this, giving thanks is something that is welcomed although the angels do not wish to be praised or prayed to. You can simply ask like you would a friend, or family. We are your spiritual family in truth. Your family in Heaven. You have many I assure you. And so it is beloved, amen , amen amen. The angels encouraged me to dedicate Sunday’s angel message to the Gospels – so here is today’s Gospel – from the Gospel of Mark 10:17-30. With a guided message behind it. “For human beings it is impossible, but not for God. “For God , all things are possible” – for what is impossible to humans is not impossible for God- for He created all things, knows all, understands all and loves all that He has created. Pray in faith for all things– for anything that is needed. For God sees all and nothing is impossible for Him. In the Gospel, Jesus did not look upon this man with disdain, rather looked upon Him with love- knowing fully that what he asked would be difficult, but also knowing God and what God adores. Jesus loved this man- as he approached Jesus with an honest and sincere heart. Jesus is very loving to all who approach him. Giving to the poor is something God and Jesus both see as important. This was not just about a charitable act, but also answering the call of God and Jesus- who asked this man to follow Jesus as his disciple. This man had many possessions and did honor God by the Ten Commandments, which God likes, but for God all is possible, and also called this man to be a servant of others and disciple of Christ Jesus, giving all he had to the poor to follow Christ. God does provide for spiritual needs and physical needs. Leaning on God is truly important – in all ways. Giving is special to God, who gives justly and effortlessly. In following his son Jesus, many are saved. Doing what Jesus asks of us is important – in every age. God loves all- especially those who listen and accept the Words of His Son Jesus Christ- who has the words of eternal life. Jesus was not attached to earthly possession, great wealth, social status, prestige or earthly power. Rather, He listened to God to the point of complete obedience and followed God’s Words to the letter- knowing that He was to lead others in the same way. Following Christ – is also accepting him in our hearts. It is loving God first, before all earthly matters and possessions, loving His Son, and loving each other as much as God loves each one of us. Greetings! this is the Guardian angel realm . We are here to celebrate this feast day with you, in joy , and in joyous celebration! We know how much humans love the word celebrate, and for this we celebrate you also. For you are like Earth angels , same as we, although your mission is on Earth as is ours, you are here in a physical body. It is important that you understand this. It is like you have an angel team and you are part of it! You are loved beloved and you angel voice and can help soothe people like St. Raphael’s soothing emerald green light that heals. Your voice can be measured by instruments on Earth, so can it be heard in the Heavens ! Lift up your voice this day for a blessing from God Almighty. It is through this physical incarnation that your spirit can help others. This can be done with your voice, your hands that heal , your words. Every time the Word is spoken, your voice is blessed and the Word is what heals others. This is needed here on Earth now beloved. Lift up your voice to praise the Lord! Lift up your hearts to open to His love. Then you will see that there is a wellspring available to you always. This is healthy for you also. It is like being lifted into Heaven before you start your day. And you will bring Heaven on Earth in the physical sense. You are blessed , for we are great in number, and we surround you now, uplifting your heart and mind to the goodness of love. Love is what heals , in every instance. This has been foretold to you before, but it is important to understand that you have a special part in this loving existence and in God’s plan for you and for all. We lift you now , and love you every step of the way . You are blessed , you are one with the highest , and we celebrate your willingness to help use your physical body on Earth. Greetings, this is This is St. Gabriel and St. Michael and the ‘Angeles’. 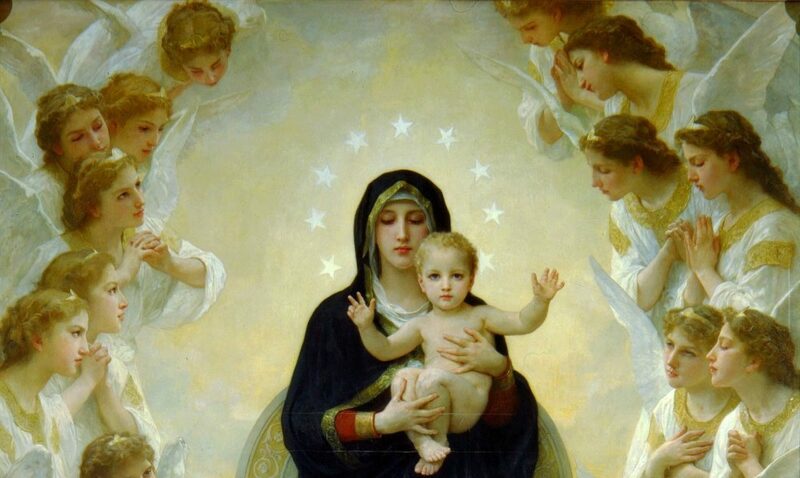 The “angeles” is the “Heavenly Host.” This is a great multitude of angels who are here with you now. Lift up your awareness to Heaven, and ask for the ‘Angeles’ anytime you wish. We are always here in great numbers when you feel you are alone, or if you would like angels to fill your house, with our love- then ask and we shall be with you the second you ask. We are speaking to you at this time to uplift your awareness of your inner light . It is true that you do have the Holy Spirit, this is God-given, this is your Holy Light placed within you. Your heart is the host of God’s Spirit. There is nothing wrong with this light at all. In fact, this light is perfect . This perfect light is what created you, what fills your heart , and is that which understands you completely. In prayer, ask for God to send you understanding if needed. Your light is brilliant and is increasingly eternal and abundant. There is no limit to the Light placed within you. Feel this love pour into you, for your heart is open to God’s love – his Divine Will is to share His Love with you. 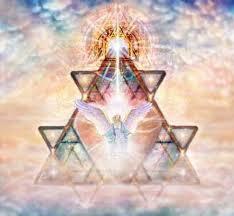 Lift up your awareness to this Light within you, for this Light will expand with love, with peace, with harmony. Your heart is the host to this now and forever. You are blessed dear one. Please know you are loved now and always. Your love and light shine brightly together and is infused with the Holy Spirit of God within you. The Light of God is within everyone, even if they do not remember who they are, or if you do not. This is to remind you that your heart is one with the Highest, now and always. Open your heart to God often, ask for his love , His Light, His Holy Spirit to be placed within you daily, for this is already done . He will always send you His love when asked . Always – He always wants His children to know they are loved. And so we are sending you this message to help you lift your heart, open your heart daily. Lift up your awareness, ask God to send His love, open your heart to receive His Love, thank Him for sending His love and go in peace throughout your day. Be willing to let go of any external or internal distractions when you come before Him, learn to celebrate yourself and others , while giving praise and thanksgiving to the IAM God Almighty, Maker of Heaven and of Earth and the Universe, and so we celebrate you this day beloved. Now and always, and so it is, amen , amen , amen. Uplift your thoughts to God! Your life purpose can be lived through your career if you ask. St. Michael will help you shift your awareness to living with intention and purpose. Your life purpose is what you came here for. It is how you wanted to help when you got here. This was discussed at your planning table in Heaven before you arrived. Ask Archangel St. Michael to help you achieve your career firmly rooted in your life purpose. He will guide you with action steps toward a fulfilling career. This can include several options that include : helping the community through service, healing the people, animals or plants or even the Earth, the healing arts, learning different art expressions; such as music for healing or uplifting, painting: uplifting painting or Holy Art, painting for healing others, musicians, teaching school- adults and children, Bible Studies/theology, working with animals and plants/nature, starting your own business or healing practice that serves others using your spiritual gifts and abilities. These are all options as you will feel attracted to the one you most wish to do. Spiritual Gifts and Abilities are the key in your life purpose, You should feel fulfilled and uplifted when you are working in a career firmly rooted in your life purpose. Your life purpose is specially assigned to you by God Himself. He uses the Gifts and Abilities and Talents and Interests He placed in your heart. This will help in knowing where your special interests lie. St. Michael will guide you if you but only ask him. He is happy to help in this matter and holds the key to the “Book of Life” or Akashic Records , where this information is stored. He will help you and your loved ones find your “place” in the Divine Plan of God. You are here with a special mission dear beloved light-worker! Dear Beloved child of God, your purpose could involve working with angels , or Archangels, and knowing this is exciting! Any work you see yourself doing, now and in the future , could help you in knowing where to head. If you like to protect people, your life purpose could be involved with Firemen and Fire Women, Police Officers, Security Officers, Military etc. If your life purpose involves the healing arts, you could enjoy a career as a doctor, nurse, psychologist, Angel Intuitive, A Channel, massage therapist, and the list goes on. If your life purpose involves healing animals and plants, perhaps you could seek healing as a Veterinarian, or Horticulturist or Herbalist, and so forth. Musicians can help heal the world through their voices and instruments. Archangel Sandalphon will help you in this case, working with your voice and instruments to heal and uplift others through your melodies and lyrics and voice. You are one of a multitude of people who signed up to be here at this time. Knowing this, ask St. Michael to help you find your life path, your life purpose, and know you are in good hands for doing so. Listen for any guidance you receive: ideas, thoughts , motivations, insight, dreams , visions or physical signs such as a white feather, angel clouds, a “tailor-made” conversation, radio lyrics, a song that keeps playing in your head and so forth. Pray for guidance, as St. Michael instructs, then ask Archangel Michael to help you understand what that guidance is- knowing you are being heard and your prayers answered, give thanks to the Most High. God helps those who seek Him earnestly with faith and a sincere heart and rewards those who seek Him. And so it is, with love, amen, amen , amen. You are blessed in the Lord! Follow your heart now beloved. Those feeling you have been having about your home, about moving, about your career , life purpose, those feelings are placed in your heart by the Most High. Follow your heart one step at a time. One step forward is all it takes. For even one step forward is a large step indeed. A quantum leap in fact. You can take a small step forward now – for now is a good time to do so. Many will support your move, your financial increase, your abundance, your health decision, your blessings. We the ‘Angeles’ support you in your momentous leap forward. First , sit down and go into your heart and ask yourself, “What is it I most want to manifest?’ ” How Can I serve in this way?” – Are you serving your family in your vision? Are you serving the world? Are you serving your hometown? Are you serving those who could most use your services? What does your dream look like? Does it have a future in service? We ask you this beloved because now is a time to use your inherent spiritual Gifts and Abilities to serve others. Now is a time to lift up your hearts and serve. Focus on what it is your wish to manifest, lift it up in prayer, “Dear Heavenly father, Thy Will be done ” in all matters. We say to you then listen for any guidance you receive and follow it without hesitation. We ‘Angeles’ know you are a loving being, and only want the best for you and for your family. Worry not! We are here with you now and always. Lift up your prayers and follow your dreams. Step by step we will guide you and help you along the way. Step by step , you will see your dreams come to pass. We take this time to tell you to not delay in this action, this is not a time to be passive, but to enjoy the journey along the way. God is your source for all happiness, do not place your happiness on a future event or on another person, place or thing. Know that God loves you dearly and so does the Most High Son , Jesus Christ. Follow your heart, lift up your dreams, follow your guidance, and watch how quickly you manifest love and abundance of love into your life now. Enjoy every step of the way beloved. You are a child of God, and we love you. We only tell you this because we want you to see how easy this can be. Even something impossible is not impossible for God. Nothing too big and nothing too small. Lift them up now – in full faith, knowing that God wants to see your dreams come to pass. And so it is beloved. Amen , Amen , Amen.